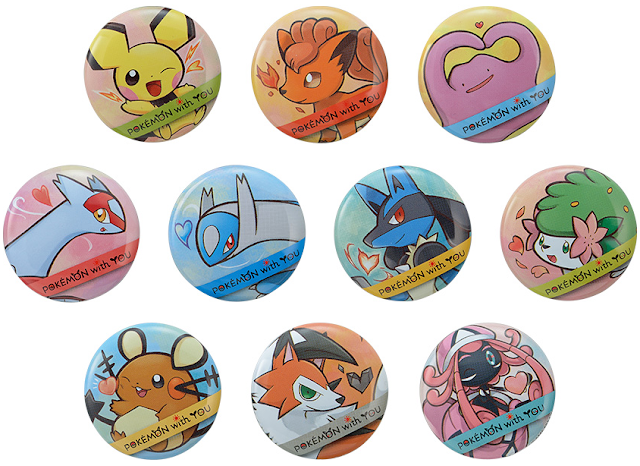 10 new charity can badges! New Pokemon With You charity can badges are being released! This batch features 10 Pokemon in total. Each can badge is 250 yen. The release date is March 10th, 2018. Pokemon With You proceeds go to benefit victims of the 2011 Tōhoku earthquake and tsunami.